Buying properties like lot, house, car and even starting a business requires a big deal of money. However, saving money often is not enough to cover cost of acquiring assets or starting a business. Good thing, banks and other financial institutions offer loans to make acquisition of properties or starting a business possible. 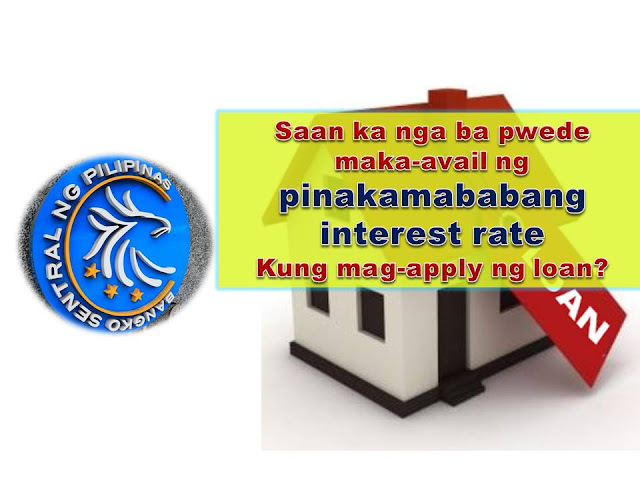 Each bank in the Philippines offers different loan options. There are what you called short-term loans, medium, and even long-term loans. Short-term loans like salary loans have to be paid in a year or less. Long-term loans on the other hand has to be paid within 6-10 years or more, while medium-term loan has to be paid within 5 years. Because of different factors, interest rates vary depending on how long you are willing to repay your loan. Of course you would want to check with different financing institution or banks where you could possibly avail the lowest interest rate for your loan. The table below shows the ranges of interest rates offered in local banks in the Philippines as well as other subsidiaries of foreign banks. The following information is based from data gathered by Central Bank Of The Philippines on January 2018. The interest rates of the loans referred here are expressed in annual percentage rate of the principal. Long-term interest rates on loan contracts or debt instruments with maturity period of more than five years. One of the factors that is being considered to determine the interest rates is collateral. Loans secured with collateral usually offers lower interest rate.